Norwegian built Sea Fighter with 300 HP Hispano-Suiza engine. Served in the Royal Norwegian Navy from 1925 to 1937. Had a bad reputation amongst the Pilots for falling in uncontrolled spin. 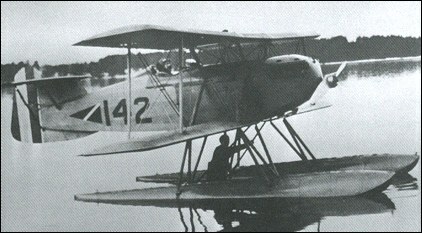 Several crashed, and the Aircraft was put in the reserve in 1932.